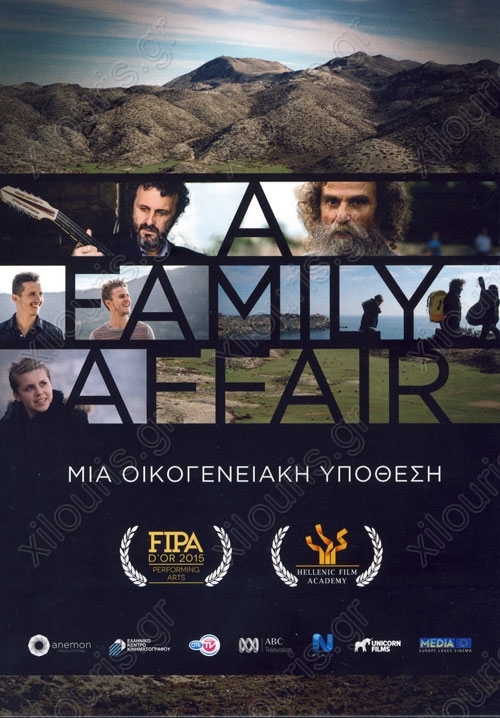 A Family Affair, an intimate portrait of the famous Xylouris family and their sacred bonds with the musical tradition of Crete, will premiere in Greece in January 2015. Directed by Angeliki Aristomenopoulou, the film follows three generations of musicians of the family who uphold and pass on the vibrant tradition of Cretan music, performing ceaselessly to followers across the world. From the legendary Antonis Xylouris- widely known as Psarantonis- to his son, the famous lute player and singer George Xylouris -nicknamed Psarogiorgis- and his three children Nikos Antonis and Apollonia studying in Australia, the film follows Greece’s most famous musical clan, to discover the electrifying power of their music and the sacred ties that hold the family together. From the mountains of Crete to Australian deserts, the film unravels the portrait of a unique family that has the power to sacrifice -and win- everything through music.